Customized crewed sailing yacht charters in the Grenadines. Welcome to sailing the Grenadines! By far the best way to explore the unspoiled Grenadines is sailing with a crewed charter yacht. Our private yachts and their experienced crews are all based right here. They will be delighted to share their extensive knowledge of our beautiful islands with you. We as your brokerage have been owner/crew of several charter yachts for decades right here in the Grenadines. Because of that we know every island inside out and meet all the yachts and crews personally. Hence we can recommend itineraries, fights, land accommodation, and of course the yacht best suited to your party and budget. Come and enjoy the fantastic sailing, gorgeous beaches, stunning reefs, crystal clear waters, friendly people, great food, a laid-back ambiance that reminds one of the Caribbean as it used to be. On a crewed yacht charter you can do as much or as little as you want: from actively participating in the sailing and navigation of the boat to doing nothing. Please explore our site, and feel free to ask any additional questions you may have because they and their answers help us to customize a Grenadines vacation for you. You’ll find information on the Yachts, Itineraries, weather, the islands and to get you started a suggestions and FAQ page. 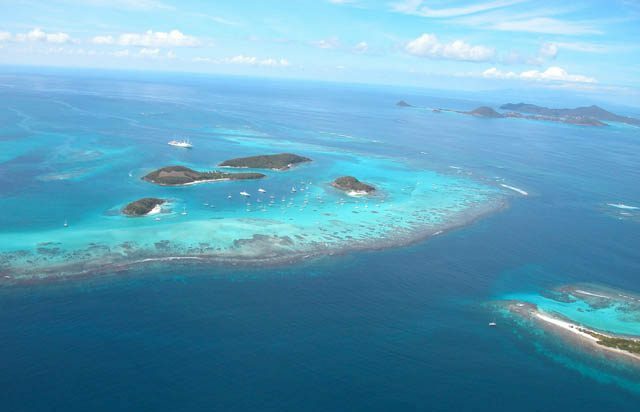 Enjoy your sailing trip in the Grenadines!